Idea: Nowadays, party entertaining is a common trend for any occasions’. 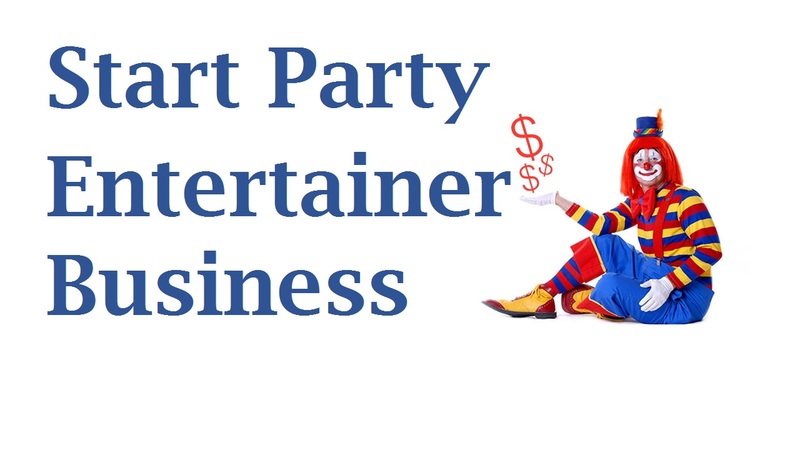 Especially, in children’s party or event, a few party entertainers are the must. Because children’s event such as their birthdays or children’s day becomes more lively with party entertainers. And the children enjoy it too. Not only children’s event but sometimes we can also see party entertains in wedding ceremonies, office or new business opening, Valentin’s Day, Anniversaries and so on. Basically, it is a way of earning some money through making an event lively, happy, enjoyable and exciting. It is an easy work. If you are an outgoing, funny and entertaining person then this is a perfect work for you. You can make success by this. Budget and Expenses: Unlike other businesses, party entertaining business doesn’t need that much of budget or expenses. The expenses will totally depend on the costumes you are going to buy. And the costumes will be depending on the customers’ choice. What they want and wishes you to do will determine the costs you will need. To minimize your expenses you can literally start working without any types of official place. You can simply start working keeping necessary materials at your home. Because for this business office is not really that important. And that is why this business is profitable from the very beginning as you don’t have invested a lot of money or a huge amount of budget. You can still rent an office when you earn enough money and fame. Then you can do that because money will not be a problem for you then. But for now, start with a little amount. You can either start this business online or direct. But I would prefer online. Because it would be less complicated and easy to reach your customers. Or you can even print some posters or leaflets for advertising about your existence. Actually, there’s nothing like that to discuss. Just a few steps will be enough for you to get started. So first and foremost thing you will have to do is to make a group with 4 to 5 people. Or if you can gather more people you can make more groups. That will be an extra advantage. You can work in different events at the same time if you can make more than one group. After gathering group members, now all of you will need a room for practicing and rehearsing what you are going to perform on the event spot. As I mentioned before, you can do these things at your home to save some money at the beginning. But later, you can rent an office or room where you can practice and keep all your stuff. But when you will hire someone new that will take you some time to understand each and get along. And it will also be a bit burdensome. But if you find none of your friends willing to do this with you, then you better go with the second option. It may take some time yet its okay. There’s nothing to worry about. You can also make partners as it will be helpful for you manage things quickly. Because works will be divided upon each of the partners and none can leave without finishing that. It will also help you in gathering more budgets for buying necessary kinds of stuff. But there’s a disadvantage too. And that is; the money you will also have to divide among partners. Costumes and Way of Entertaining: Costumes are a must needing the element of this business. Because basically, the entertainers wear different costumes based on the customers’ desires. And they do different body movement while wearing those costumes. Most of these costumes are cartoon characters. If you are attending a child’s event then you must wear the cartoon characters as children like them so much. There are lots of cartoon characters such as Tom, Jerry, Ben 10, Micky Mouse, Hello Kitty, Naruto etc. You can also get some superhero costumes such as Superman, Batman, and iron man, spiderman etc. or maybe some Disney characters. You will have to do those body gestures of that character whose costume you are wearing. And for that, you can watch some of their shows to understand the characters better and copy them based on that. Profits: It is a completely different way of earning money. All the other businesses buy and sell products or commodities to earn profits but in this business, you don’t buy or sell anything. Here, you earn profits through your talent and skills of entertainment. If you can make your customers happy and impress them, you may get some extra tips for that. Generally, you will discuss the amount of the money with your customers before the performance. And the amount will include all the expenses behind that performance and also the value of your hard work. You can negotiate about the amount with the customers as there’s no fixed amount for this. Conclusion: I think that was enough for you to understand this business and its do’s and don’ts and advantages and disadvantages. If you can become passionate about your work, you will easily be able to succeed in this business. Hope my discussion helps you achieve that success. Best wishes for you. Thank you.